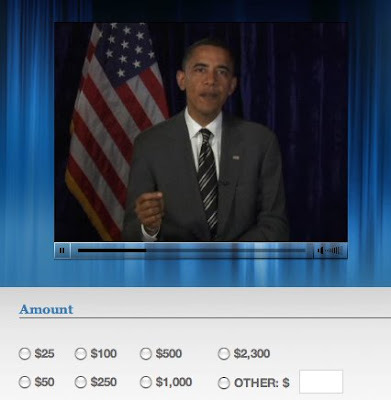 If you give $5 or more to the Obama campaign, your name is entered into a drawing to spend some time with Obama before he goes on stage to accept the Democratic nomination. Maybe I'm wrong, but it seems very unlikely that a politician about to give the biggest speech of his life would enjoy being bothered by ten strangers and their guests. Just think what would happen if the campaign actually randomly selected the winners and ended up with a bunch of ex-Hillary supporters that didn't really love Obama but wanted to give him a few bucks anyway to win in November. Not very good publicity there, right? A teacher from a small Montana farming village. 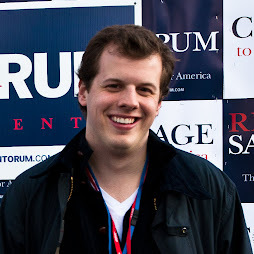 An evangelical grandfather and ex-MIKE HUCKABEE supporter from a swing state. A female college student from Alaska who is "interviewing native elders about their experiences with segregation" for summer break. And Trinance, "a single mother and disabled veteran who served overseas for the Iraq War." My apologies to the many thousands who donated money hoping to win and were instead overlooked as the Obama campaign hunted for some "lucky winners" with relevant and juicy stories.